The jury in Luka Magnotta’s first-degree murder trial watched a video today that depicts elements of a killing, after a warning from the Crown prosecutor that the “infamous” video was graphic. The 14 jury members showed little reaction as they watched the 10-minute video set to a New Order song, which starts with a shot of a naked man tied to a bed and another person stabbing the body many times. Subsequent images show the body being dismembered and other repugnant acts. In the small courtroom, Magnotta kept his eyes down as the video played. Some people in the packed overflow courtroom looked away or left the room. The judge immediately ordered a recess at the conclusion of the video. Magnotta is charged with five offences, including first-degree murder, committing an indignity to a body and mailing obscene material. He has pleaded not guilty to those charges, but he admits the physical acts informing them. His lawyer has told the court he intends to argue Magnotta should not be held criminally responsible for his actions because of mental illness. The Crown alleges the killing of 33-year-old Concordia student Jun Lin was premeditated. Earlier in the morning, the jury heard how the Montreal police technological crimes unit worked to find the user who had uploaded the video to a "gore site." Const. 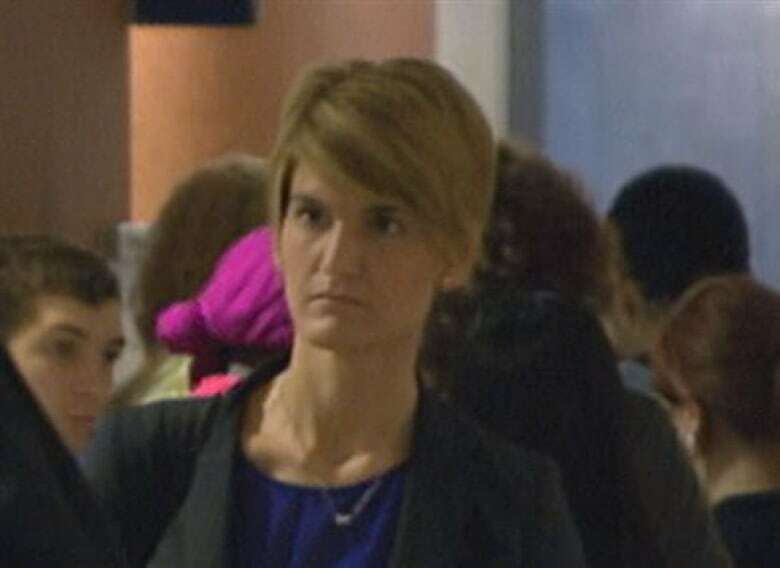 Nadine Paoliello testified that on May 29, 2012, her superiors told her a tip had come in from an Ottawa investigator about a video circulating online that could be related to a homicide investigation. Paoliello was given the task of finding the user who posted the video and contacting the gore websites, which specialize in shocking and bloody images, to get it removed. An administrator at one of the sites gave her an IP address for the user and agreed to take down the video after learning that it may have depicted elements of a homicide. Paoliello told the court she was able to identify the user who uploaded the video as "Captain Fly Scratch," but did not track him down further. Earlier on Thursday, the jury in the trial heard from two employees who were at the Jean-Coutu pharmacy Magnotta used to send packages containing some of the victim Jun Lin's body parts. Tomokazu Lee, the man working the pharmacy's Canada Post counter on May 25, 2012, remembered Magnotta coming in twice that day: once to return previously purchased boxes because they were too small for what he wanted to send, and a second time just after 7 p.m. to mail two white packages. The boxes stayed at the pharmacy all weekend and were picked up Monday morning by Canada Post workers. The receipts for both transactions were entered into evidence, and the court heard Magnotta signed his name "Rocco" for the reimbursement. 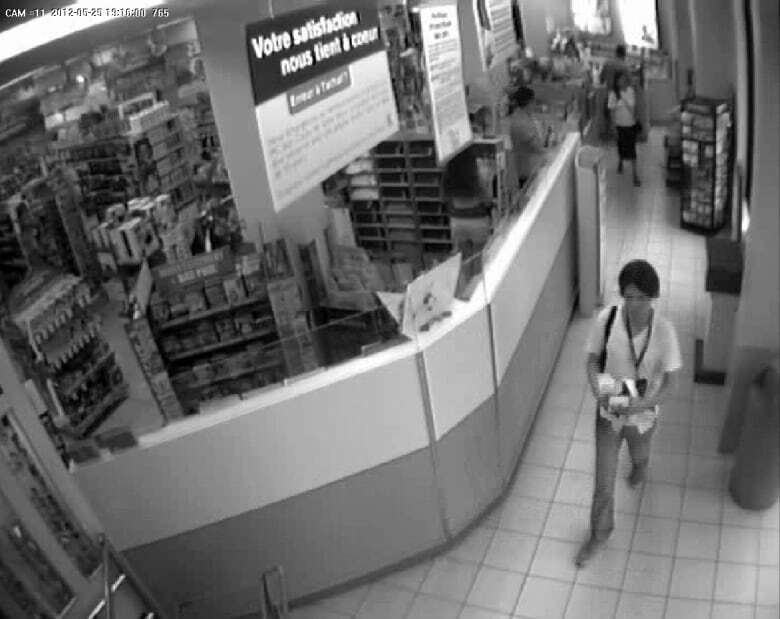 The pharmacy's assistant manager, René Tremblay, showed the court surveillance video from that evening, captured by some of the store's 21 cameras. Magnotta is seen walking through the store, wearing a white T-shirt, khaki pants, without any sunglasses.